Over the last ten years I have been super impressed with myself. Not to toot my own horn, but I pretty much rock this whole grown-up thing. 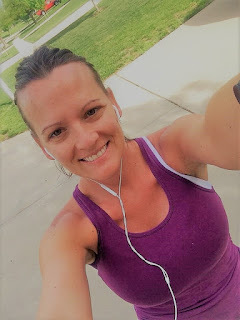 I've been raising three kids, have a great marriage, have a good spiritual relationship, love my job, and have been running full marathons, eating pretty healthy and blogging for several years now. On the outside MamaGottaRun has got her sh*t together. But. On the inside? Man... not so much. At least not as much as I used to. Gone are the planner-toting, meal-prepping, I-must-run-every-day, kids-have-a-bedtime, dirty-dishes-never-sit-in-my-sink-overnight, kind of days. Say hello to the grocery-list-on-the-back-of-a-junk-mail-envelope, screaming-at-my-sassy-ten-year-old, wine-bottles-filling-up-the-already-overflowing-trash-can, and the-kids-are-eating-cereal-for-supper, kind of days. I seriously do not know how I did it. I mean, it was a lot worse right? When my kids were babies they were soooo much harder, yes? For one, I never slept. Like literally, for five years straight, I accomplished my previous supermom status on maybe a total of four interrupted hours of sleep a night. Life had to be more difficult back then? These days I get seven or eight glorious hours of rarely unterrupted sleep, most every single night but I have absolutely no energy or motivation to do all of the daily tasks that need to get done. The only really great thing about all of this BLAH is that my husband has stepped up the last few years and helps me a lot more than he ever did before. Not that he didn't help or even want to help before, but I just, well, didn't want him to. Things had to be done my way, on my schedule, in my routine, or I just criticized him and redid them my way. BAHAHAHAHAHAHAHAHA! What was I thinking?! We actually do have a wonderful life. But you know what we don't have? A DAY OFF! My adorable babies who had countless needs in infancy, have grown into amazing children with just as many needs, allbethey different. For example, no more bottles at 3 am or disgusting poopy diaper bombs. I don't even have to give any of them baths or dress them anymore (well maybe the 5 year old when he starts to smell like a dead squirrel). Nope, those are needs my kiddos no longer have. But you know what they need now? And what does Mama have (besides premature wrinkles and a few very prominent gray hairs)? Well, good question. I'm not sure. Kids? Mama needs to get motivated to be herself again. To find time to run. To write. To read. To draw. To be me. I hear that I will find myself again when my kids get older. 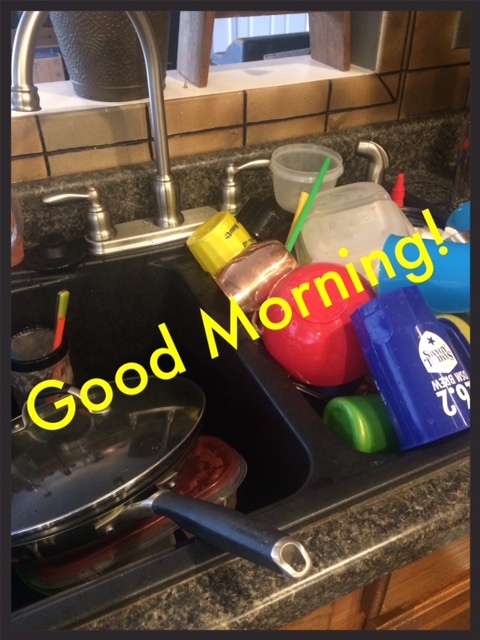 There will be a time when the dishes will be done every day, when I pick up a room and it will stay that way, when I don't have to rush home from work like a getaway car praying I'm not going to be late for carpool. I even hear that I will "miss these days, and wish my kids were this age again." Um... no? Not sure I can imagine that one. I don't know, try me again in another five or ten years when they get old enough to drive themselves to practice and have jobs to pay for stuff. People used to tell me that I would wish my kids were babies again, and hands down I have never wished for that once. Not once. I see other people's adorable pudgy babies and the first thing I think of is Ya, that baby is pretty cute but oh man I feel so sorry for those sleep deprived, exhausted parents. I love my kids. We all love our kids. But it is okay to admit that we also get overwhelmed by our kids. My kids are really wonderful. They are, they are wonderful. I am SO proud of them. I sometimes even ENJOY doing a few most of these things I am required to do for them. But I am not going to say that a little piece of myself wasn't sacrificed along the way. But: Mama has Gotta get motivated.